Sitting under a new roof (2017) is this spacious 3 bedroom, 2 bath, pool home. All new stainless steel appliances in the eat-in kitchen, breakfast bar, breakfast nook,. Huge great room with soaring cathedral ceilings, an 18' formal dining area with a bay window. New washer, dryer with soak sink. So much decking beyond the lanai that wraps around the kidney shaped pool with its hot tub. Large master bedroom, high cathedral ceiling, slider to the lanai. The master bath has 2 sinks, a garden tub, walk-in shower, walk-in closets. 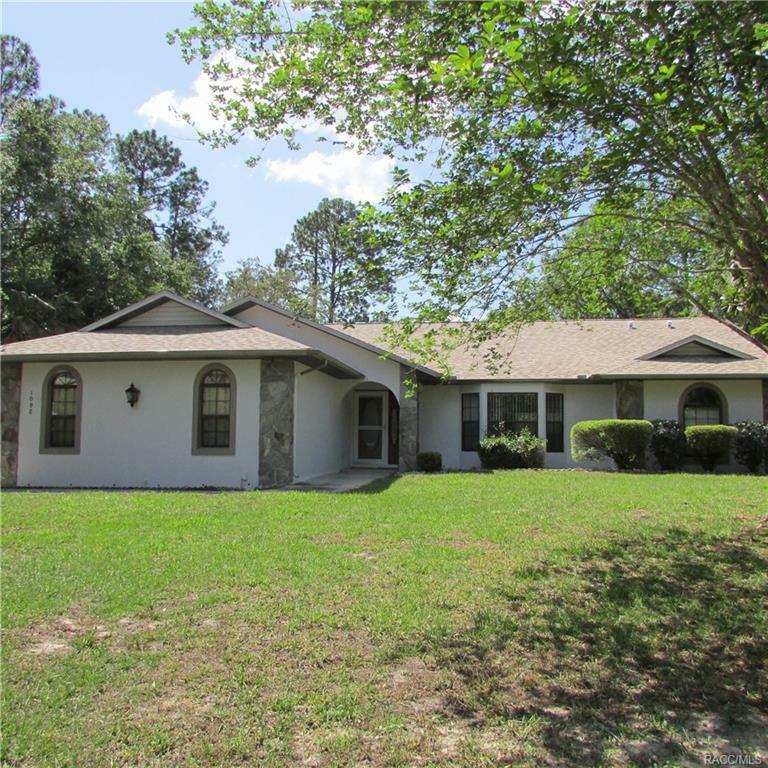 All on an acre with a fenced rear yard.